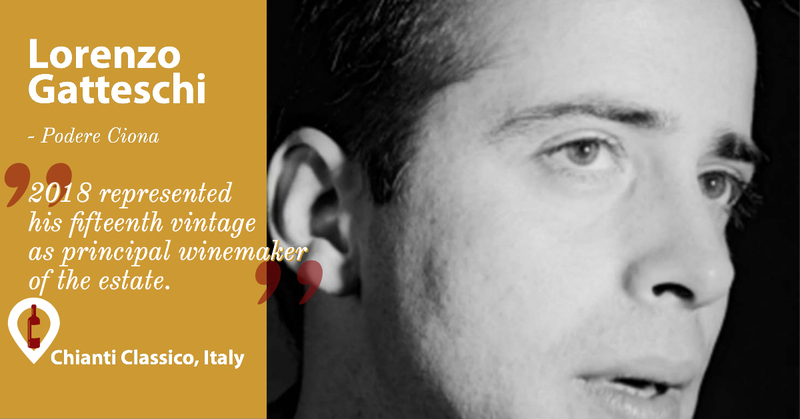 Lorenzo Gatteschi’s career in wine began at his family estate, Podere Ciona. Enthused at the prospect of making his own wine and aided by the estate’s consultant œnologist, Dr. Stefano Chioccioli – at the time a rising star in the Italian winemaking world and today an internationally renowned expert – Lorenzo began working in all aspects of winemaking. In 2000, he achieved a Higher Certificate Level at the Wine & Spirits Education Trust in London and took courses at Enoteca Italiana wine school in Siena. In 2004, he became manager of the wine cellar at Podere Ciona; 2018 represented his fifteenth vintage as principal winemaker of the estate. Lorenzo's wine-industry career took yet another turn when he began a new venture: Small Vineyards, arguably the first U.S. importer of Italian wines to represent exclusively small, family-owned estates that hand harvest their grapes and follow sustainable/organic farming methods of production in these markets. Currently, he helps as liaison between Small Vineyards (today, August Wine Group) and its small producers and helps represent the most exclusive wines in the AWG portfolio nationwide. He happily spends about five months in Italy every year, including over two every autumn spent organizing the harvest and directing the winemaking process at Podere Ciona. When not in Italy, Lorenzo lives with his wife Jennifer in Brooklyn, NY, and travels all over the United States for business. Bill Wolf is the owner of Eagle Eye Winery, along with his wife Roxanne. They live on their 13 acre ranch, named AlphaWOLF Vineyard & Olive Ranch, in Napa Valley where they grow Cabernet Sauvignon, Cabernet Franc and Petit Verdot. Bill’s career began in the food service industry, where he worked as a chef in his early years and progressed to Vice President of Operations for ARAmark Corp. Upon meeting Roxanne, the decision was made to enter into the wine industry and in 1999 they purchased property with 5 acres of walnut trees and grapes. 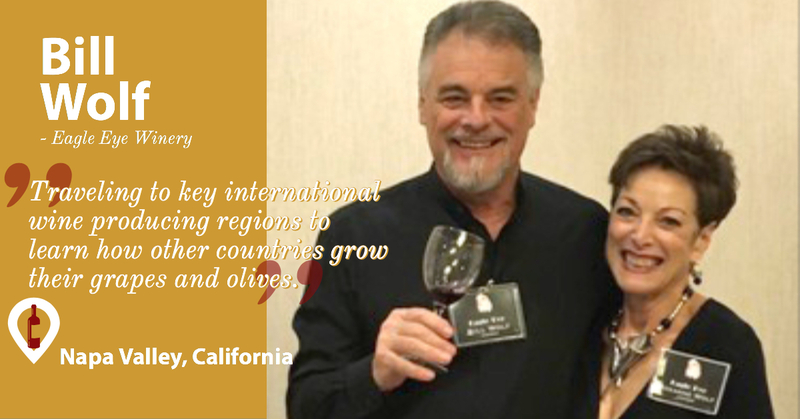 They began studying at UC Davis, completing over 75 classes in Oenology, and traveling to key international wine producing regions to learn how other countries grow their grapes and olives. In October of 2004 they released their first wine under the Eagle Eye label. Bill has been a Board Member for the Napa County Farm Bureau, the California Olive Oil Council and the Suisun Creek Alliance. In 2007, Bill was recognized by the Governor for his role in passing Assembly Bill #323 to the California Alcoholic Beverage Control Act. Reynolds Family Winery, located on the acclaimed Silverado Trail in Napa Valley, is the classic “American Dream” tale. Steve and Suzie Reynolds gave up everything to take an old run down farm and try their luck at making wine. Steve left a career in Dentistry and Suzie, Insurance, to dive feet (and purple stained hands) first into the vintner life style. 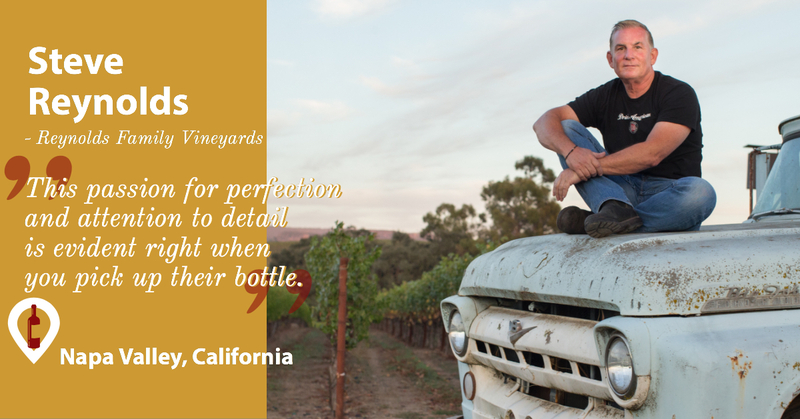 After 24 years of working the land and 21 years of perfecting their craft, they now make some of world’s top rated wines. The focus is on small batch, hand crafted wines. This passion for perfection and attention to detail is evident right when you pick up their bottle and see the handmade flower label – and then you open it! Their slogan “Drink American” is a tribute to all things Napa and the pride they put in each bottle. New items include seared cauliflower and Szechuan noodles, with optional seafood upgrades. 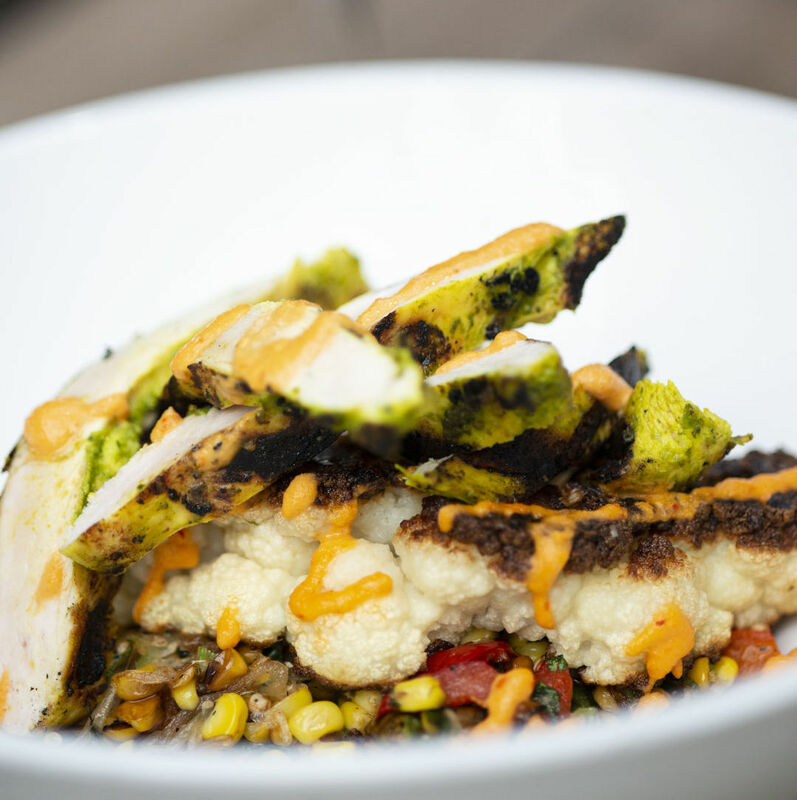 In a push to offer more plant-based items, State Street Eating House + Cocktails recently rolled out a new dinner menu that includes entrées like seared cauliflower and Szechuan noodles, with optional upgrades like salmon, tofu, shrimp, octopus and more. The new dishes were dreamed up by State Street chef Adam Ruth. Don’t worry: The restaurant’s popular burger (the area’s fifth best, according to Sarasota Magazine's rankings) is still on the menu, as is the baked lobster macaroni and cheese. 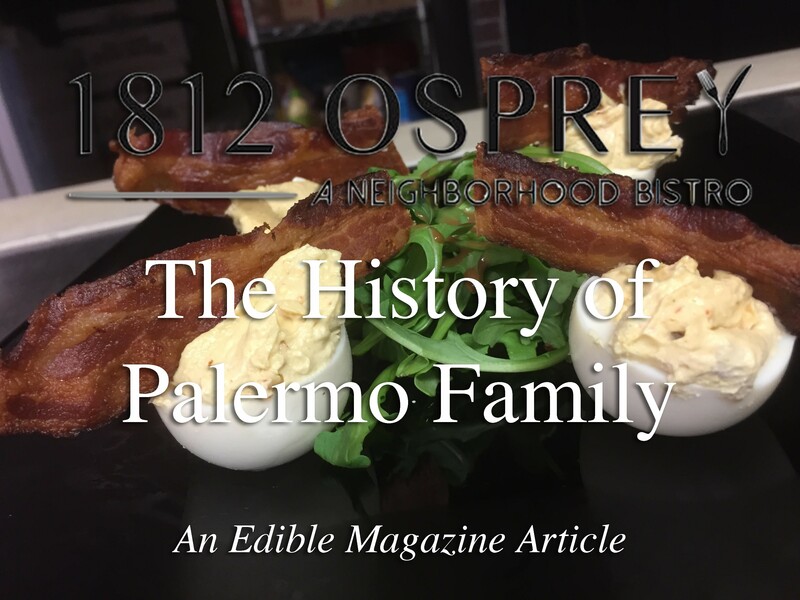 1812 Osprey A Neighborhood Bistro's Palmero Family has had an strong connection with the local community that dates back before 1812 Osprey's establishment. Even though they are only in their second year, the family are longtime restauranteurs in the area - they started the Original Broken Egg on siesta, they were the original owners of the Serving Spoon located across the street from 1812 Osprey, and run the Oasis Café & Bakery. They support local breweries within a 60-mile radius and some wineries which have local ties. They source local ingredients as much as possible and are very active in the community. Stay tuned for the full article from Edible Magazine's Spring Edition.